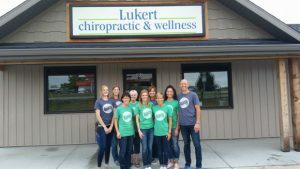 At Lukert Chiropractic & Wellness, our goal is to encourage our patients to be more proactive in their health care, so that we can achieve better long-term results and prevent future problems! Our staff offers a full spectrum of chiropractic care and treatment, from chiropractic and rehabilitative treatment to nutritional counseling, fitness programming and massage therapy. See us today and let us help you be healthy, live healthy and stay healthy!